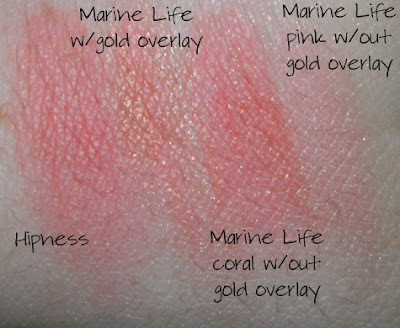 Here are my swatches from the products I picked up yesterday! 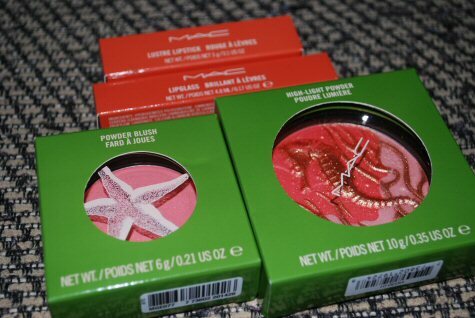 Easy Lounger lipglass, Lazy Day lipstick, Hipness blush, and Marine Life powder. Marine Life! It's so gorgeous. It's definitely the most coveted item from this collection. 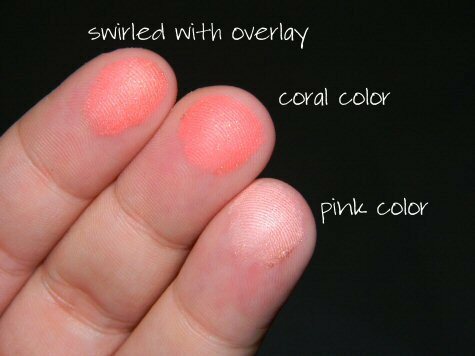 The overlay doesn't make a huge difference and adds a nice sheen. It goes away relatively fast, though. 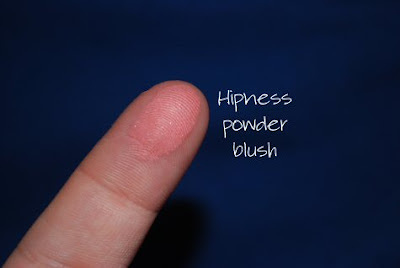 So if you don't like it, it's ok because it rubs off easily or only lasts for a use or two! I'm not sure why this is being labeled a highlighter. 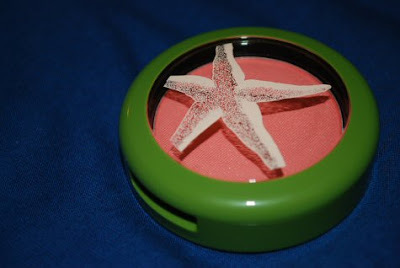 The pink color is a nice highlight color, but this powder is definitely more of a blush. 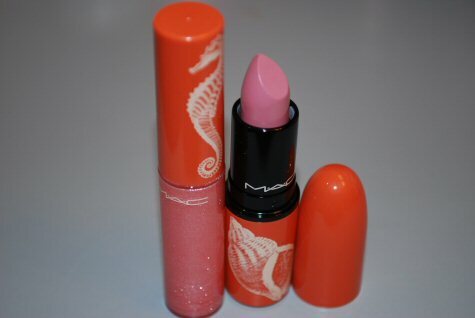 A beautiful coral color! It shows up a lovely color on fair skin! 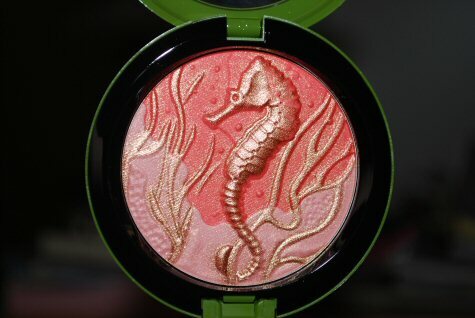 I think it is vibrant and pigmented enough to look good on darker skin too! Many people are thinking Lazy Day is similar to Viva Glam Gaga, because they look a lot alike in the tube. 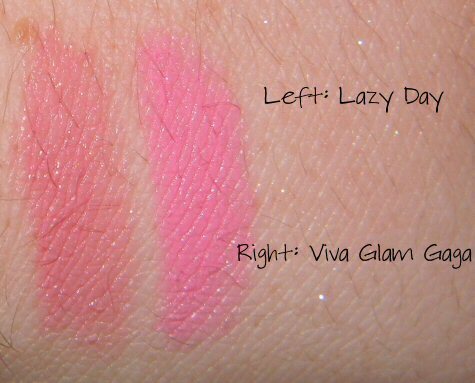 When it's swatched and on the skin, you can see a huge difference! Lazy Day is kind of a muted and less lilac-based color of pink. It's a real nice pink neutral to add to your collection. 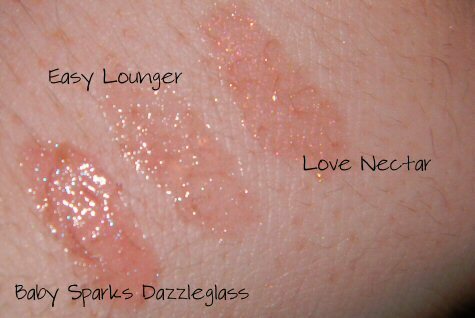 I tried to pick out a few permanent color dupes that are similar to Easy Lounger. It's really close to Love Nectar and somewhat close to Baby Sparks. So if you miss out on Easy Lounger, I'd say purchase Love Nectar. I was a bit disappointed in lack of color payoff. It also has a lot of glitter. It might look good paired with a few pinks. I think Love Nectar is a little better since it has more color payoff. I will probably use it on the days that I want glossy lips and going for the "no makeup" look. As you know, I usually cancel out the pigmentation with concealer. 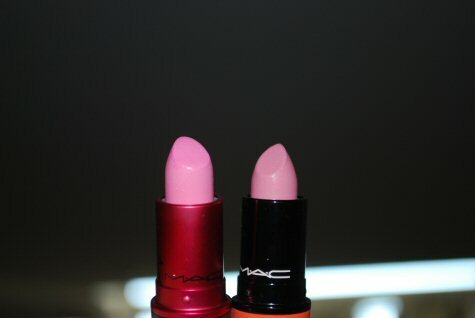 I like to try my lipsticks both ways to see if the color looks better with or without it. 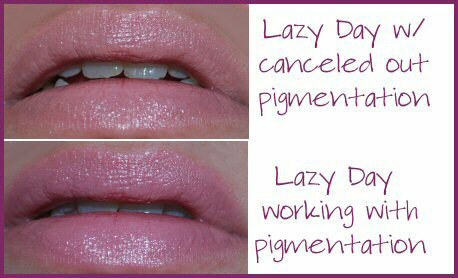 With Lazy Day, it works well with both but looks amazing with pigmented lips! It just shows how versatile this lipstick is. This is a keeper!